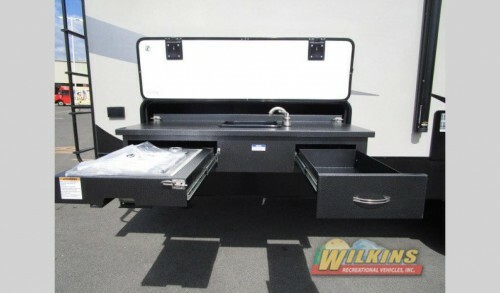 We, here at Wilkins Recreational Vehicles Inc., want to ensure that you get the perfect RV, and that is why we make it easier for you to shop for exactly what you are looking for. Let’s take a look at the popular ways you can RV shop with us! Find the perfect RV for you with our easy ways to shop. 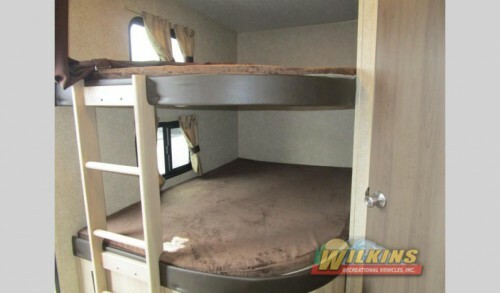 One common way people like to look for their RV is by searching for a specific floorplan. For example, people with a large family or group of friends may need one of our bunkhouse models or an RV with two full bathrooms. By being able to look for specific features such as a kitchen island or complete outdoor kitchen, you can spend less time searching and more time camping. Want to cook outdoors? Get an exterior kitchen floorplan! We also have ways for you to shop by the price range you want to spend. Budget, when buying an RV, is something that most people are concerned with, so looking at only what you can afford will be helpful to your wallet as well as the buying process. So no matter if you want a camper for under $10,000 or are looking for ultimate luxury with options above $60,000, we can help you find it! 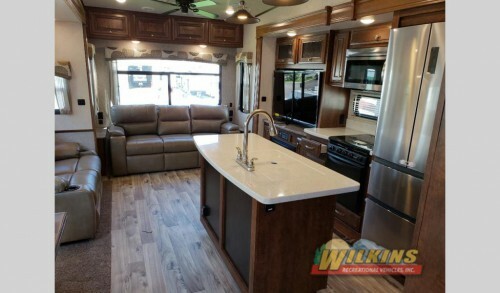 Find the luxury you want with our over $60,000 RVs. If you have a certain vehicle that you will be using to tow your RV, then finding the correct tow weight will be essential. Luckily, we have an easy tool to help you find the ultra lightweight options that are under 3,500 lbs, regular lightweights of under 8,500 lbs, and even luxury RVs that are 14,000 lbs and up! Find the size you need for your family. But the main thing people want to pay attention towhen buying a new RV is fitting their entire group. By shopping by the amount of sleeping space, you can make sure that whoever you want to bring along will have a space to call their own. We’ve got options of sleeping 2-4, 4-6, 6-8, and all the way to 9 people and up! So you are certain to find the perfect size and style for your group. By offering these simple ways to shop for an RV, we help make the process of buying easier and more enjoyable. To find out more about all of the New RVs for sale on our lot, be sure to contact us or come on by our locations today!